Docker makes application deployment easier than ever before. However, most of the Docker articles are often written how to containerized application that runs on Linux boxes. But since Microsoft now released windows containers, the legacy (yes, we can consider .net 4.5 as legacy apps) .net web apps are not left out anymore. I was playing with an ASP.net 4.5 web application recently, trying to make a container out of it. I have found the possibility exciting, not to mentioned that I have enjoyed the process entirely. There are few blogs that I have found very useful, especially this article on FluentBytes. I have however, developed my own scripts for my own application, which is indifferent than the one in FluentBytes (thanks to the author), but I have combined few steps into the dockerfile – that helped me get going with my own containers. If you are reading this and trying to build container for your asp.net 4.5 applications, here are the steps: In order to explain the process, we’ll assume our application is called LegacyApp. A typical asp.net 4.5 application. We will install Docker host on windows. Create a directory (i.e. C:\package) that will contain all the files needed to build the container. Create the web deploy package of the project from Visual studio. The following images hints the steps we need to follow. Important note: We should name the site in the following format Default Web Site\LegacyApp to avoid more configuration works. Now we will go to the command prompt and navigate the command prompt to the directory (i.e. C:\package) we worked so far. c:/> docker build -t legacyappcontainer . We will run the inspect command to see the container IP. Now we will take the IP from the JSON and use the IP on our URL to navigate to the application. The complete dockerfile can be found into the Github Repo. 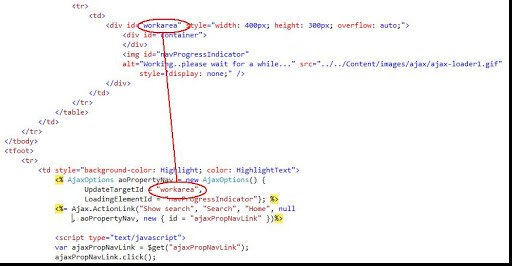 jQuery Autocomplete inside partially rendered user control? Yesterday a very small issue put me into the hell for almost an hour. Finally I was able to figure out a workaround for me. I am not claiming this is the best approach to solve this problem or stuff like that, but definitely it worked for me nice, and I did not find any downside of this yet. Well, let’s get into the story, I was using the awesome jQuery Autocomplete plug-in inside my ASP.net MVC application. Initially I put this autocomplete textbox into the site.master page and it worked superb! I used the HtmlHelper extension model to accomplish my task. John Zablocki has written a wonderful post regarding this approach. I basically used his approach with subtle modifications. 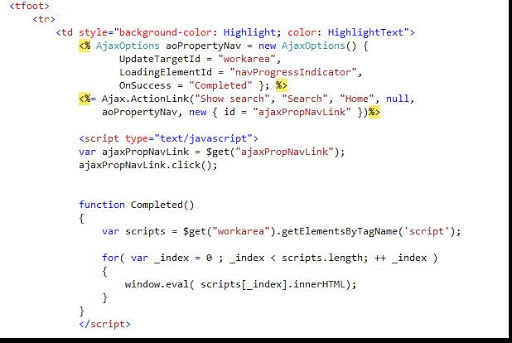 For those who has no idea what jQuery Autocomplete plugin is, it’s a regular html text input control that is registered by the jQuery autocomplete plugin library and when user tries to write something in it, it made an ajax request to the server to get the possible values for the given characters use has been typed. Again, please read the John’s blog for a good idea about this. Now, from the Index.aspx (I am talking about the Home\Index.aspx -which generates for a hello world ASP.net MVC application), I am rendering this user control using AJAX. And I noticed that the jQuery is not working. Why?? So I was able to make this running-with a OnSuccess event handler for my AJAX call, and once it finished the AJAX invocation, I did a force load of all the scripts block resides into the ascx. Voila! 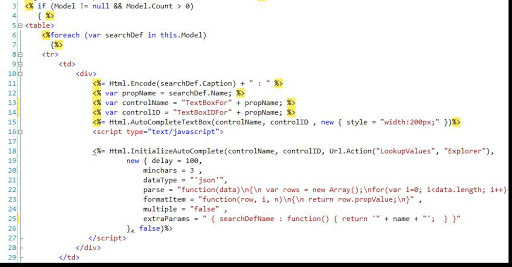 Author Moim HossainPosted on April 5, 2009 July 15, 2018 Categories Ajax, Asp.net mvc, Autocomplete, dynamic, jQuery4 Comments on jQuery Autocomplete inside partially rendered user control?